The league season resumes on Wednesday when Hibs visit Fir Park. Motherwell will have to shake off the disappointment of an early cup exit if they are to deliver some cheer to the home fans. This game will be a big test for Stephen Robinson. He has declared an intention to change our style and to pass the ball more but the team selected on Saturday were unable to deliver. We can expect a few changes this midweek. Ross McCormack was given a chance to stretch his legs for the first 45 minutes on Saturday but he seems well short of delivering a full shift. Can we afford to play two wide players? If both Elliot Frear and Gboly Ariyibi are selected then we may see three midfielders in the centre of the pitch and only one striker. Whatever formation is chosen we have to see more on the high quality surface than was evident against Ross County. The win in Hamilton at the end of the old year ended a three game losing sequence and gave us some limited breathing space over our fellow strugglers. St Mirren, Dundee and Accies all face top half opposition on Wednesday so if we can take anything from the game we will not lose ground. 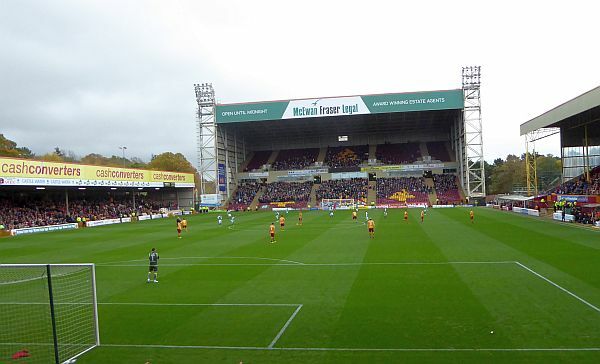 Hibs last played at Fir Park 15 months ago when a first half goal by Martin Boyle gave the visitors the points. Their recent league form produced three draws and a loss before the cup brought some relief with the 4-0 win over Elgin City. The highlight of the transfer window for the Easter Road side has been the arrival on loan of Ryan Gauld. He playmaking skill was evident against the League Two side and he could be a key player for the rest of their season. Avoiding a loss may be best outcome we can expect and a spirited 0-0 would do no damage. Remember the last visit from Hibs?